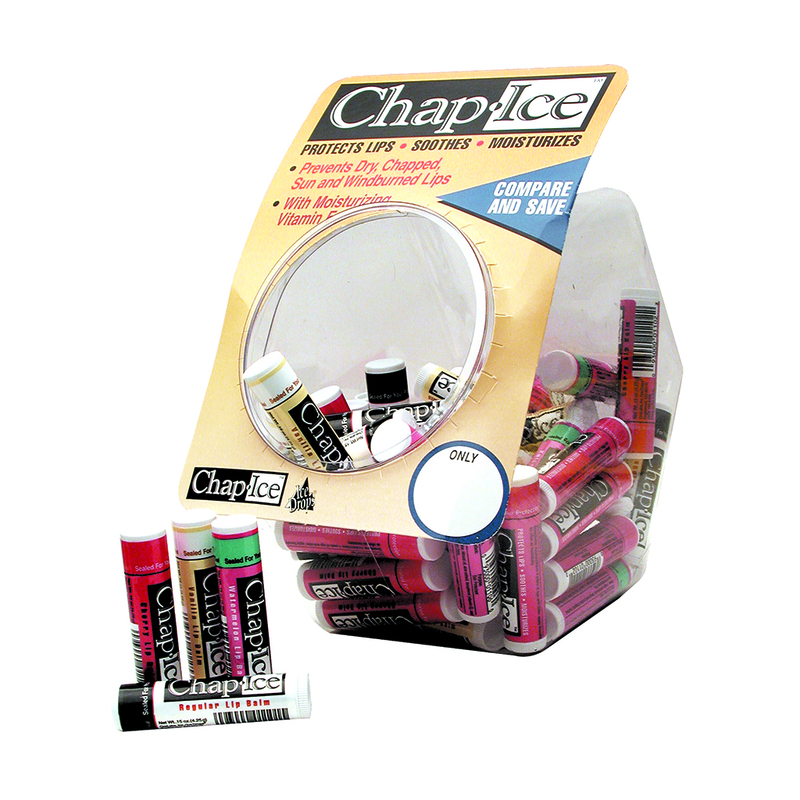 ChapIce® is a popular and classic lip care line that soothes, protects and moisturizes chapped lips. 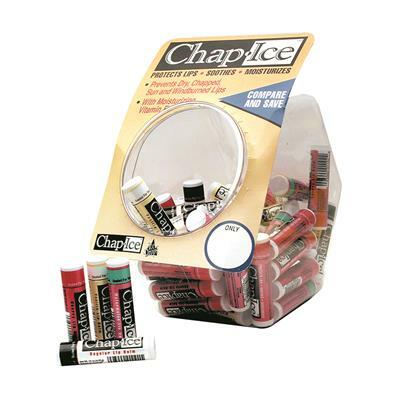 There are ChapIce products for everyone, with enriched formulas that include sunscreen and any number of quality ingredients like Beeswax, Vitamin E, Menthol, Natural Oils, Lanolin, Menthol and of course - flavor. 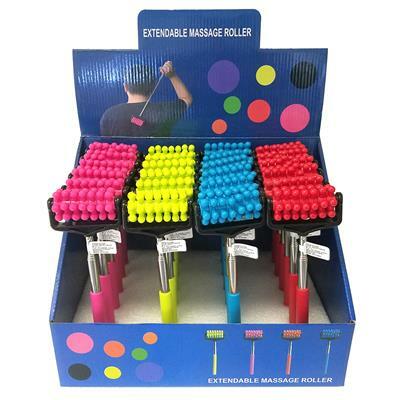 And, because OraLabs wants to make everyone happy, ChapIce is available in traditional sticks, mini sticks, squeeze tubes, pots and mini-tubs. Made in the USA. ~ Mfr Catalog No. 520FB"